Get notified when Brad Paisley tickets are available! 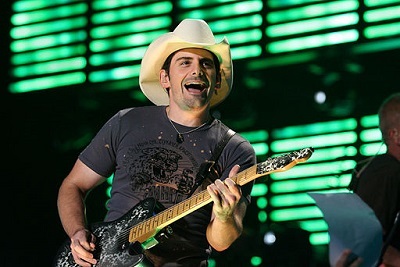 Brad Paisley is a country music singer based out of the United States. He debuted in 1999 with his album “Who Needs Pictures,” and has since released ten other studio albums along with a Christmas compilation album. All of Brad Paisley’s albums have been certified by the RIAA as Gold or higher, and he has had an impressive 32 Top 10 singles on the US Billboard Country chart. Nineteen of these songs have hit number one, and these scores earned him a new record in 2009 of earning the most consecutive singles in the top charts. Get your Brad Paisley tickets today!